Isac Entertainment Corp.have done an amazing job remaking the insanely popular game Snow Bros(1990’s Snow Bros) and porting it to Android. The action arcade game that we all grew to love is back and the remake does the game nothing but justice. Snow Bros follows the snowman Nick, the blue brother, who has to battle enemies on retro themed 2D levels. He must shoot enemies to turn them into snowballs and roll them into walls to kill them, taking out whatever is in its path. Battle through 50 levels on easy, medium and hard which is sure to remind you of all the fun you had as a child playing arcade games. 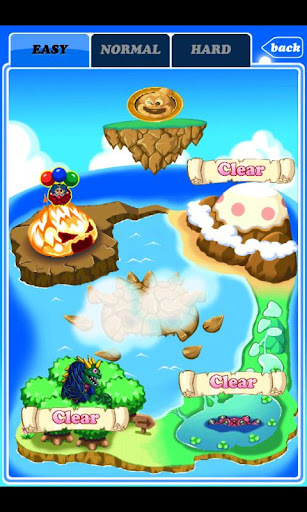 The developers have included the controls which mimic the old school Nintendo, giving the Android game an amazing arcade feel and intuitive control set. 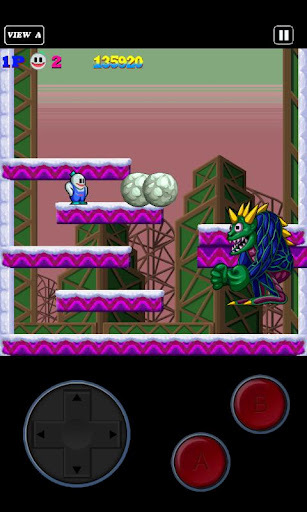 Gameplay in Snow Bros is very straight forward – move the snowman with the D-pad, ‘B’ button jumps and ‘A’ button shoots. Move the snowman around the level shooting enemies multiple times until the turn into a snowball, then walk up to them and press towards them and shoot and it will fire them across the level and roll them to the bottom. Be careful not to get caught in the way or they will take you for a ride to the bottom of the level as well. The boss’s are a lot tougher than I remember years ago, and I’m not ashamed to say I needed some help get me through a few levels. Now the graphics are not the 3D, realistic, rendered images which we are used to from popular games these days, but they aren’t meant to be. Snow Bros mimics the look and feel of the older arcade games and focuses on playability. The buttons are perfectly responsive, even when there were 10+ enemies on the screen and a boss enemy there was no lag or unresponsive actions. 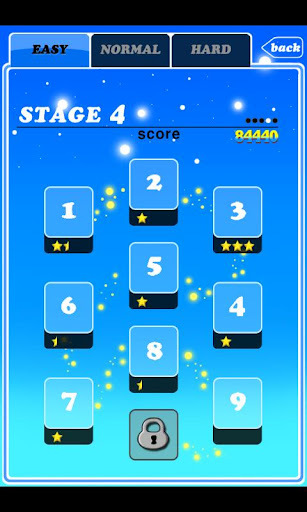 The sound effects and music also reflect the original and fit seamlessly within the game. For what Snow Bros is, I struggle to find anything which could use improving. The only addition i would love to see is a 2 player mode via Bluetooth/Wi-Fi, this was always an amazing 2 player game back in its day and if this was replicated it would be the icing on the cake!